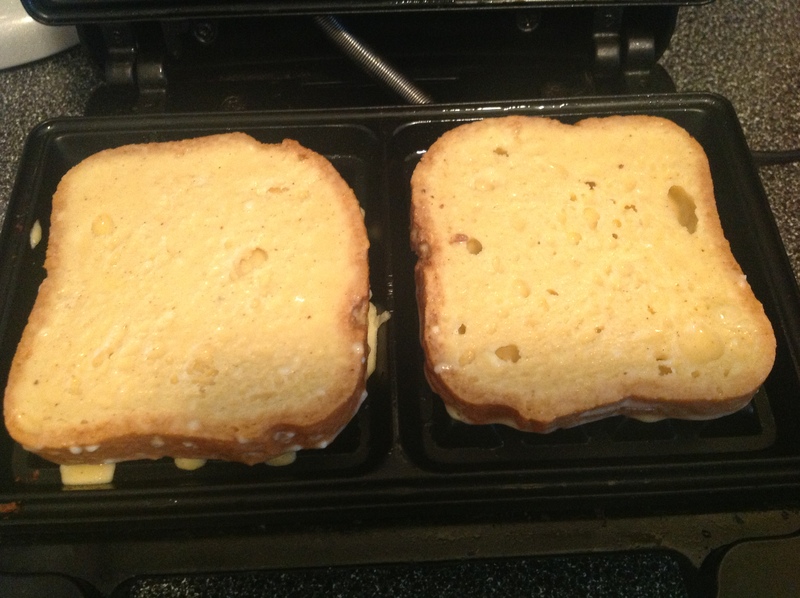 breakfast boredom begat my new favorite breakfast thing. 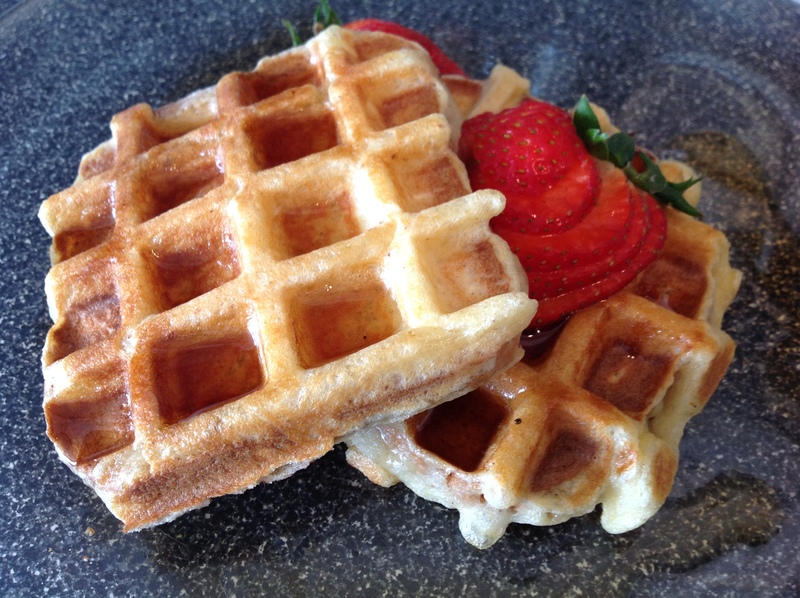 i call them waffled french toast. 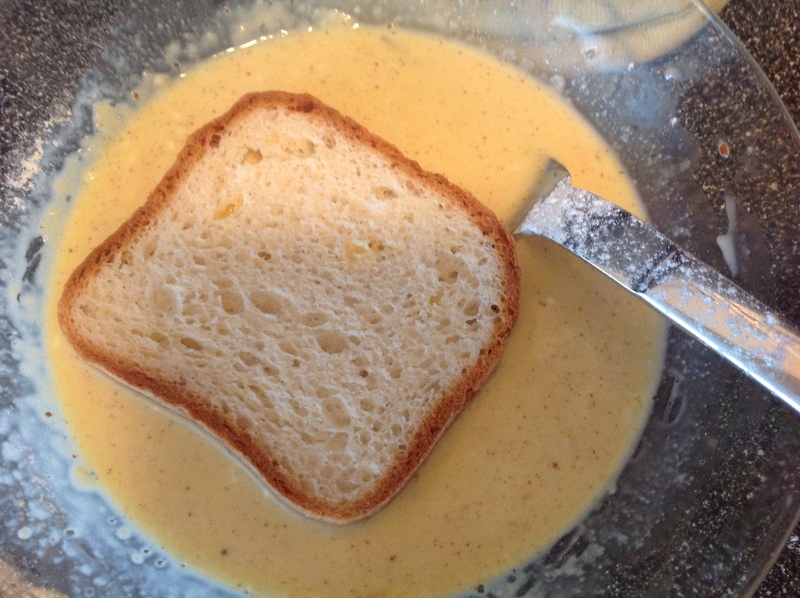 my gut told me, if i mixed up a french toast batter and dipped some gf bread into it, happiness would follow. my gut was right! this is super simple and can be accomplished by making a french toast batter from scratch or from a prepared pancake/waffle mix (Cup4Cup makes a very nice mix). i’ve tried it both ways. also, keep in mind that if you like an eggy french toast, you can add another egg to the batter. the waffle iron makes it super quick and fast with minimal cleanup and i think would be ideal when you have a crowd for brunch. get a couple waffle irons and a bunch of shallow dishes and soon everyone will be in french toast heaven. garnish with fresh fruit, preserves, maple syrup or creme fraiche. these could also be a terrific breakfast for dinner item with bacon, prosciutto or perhaps a nut butter stuffed between layers. 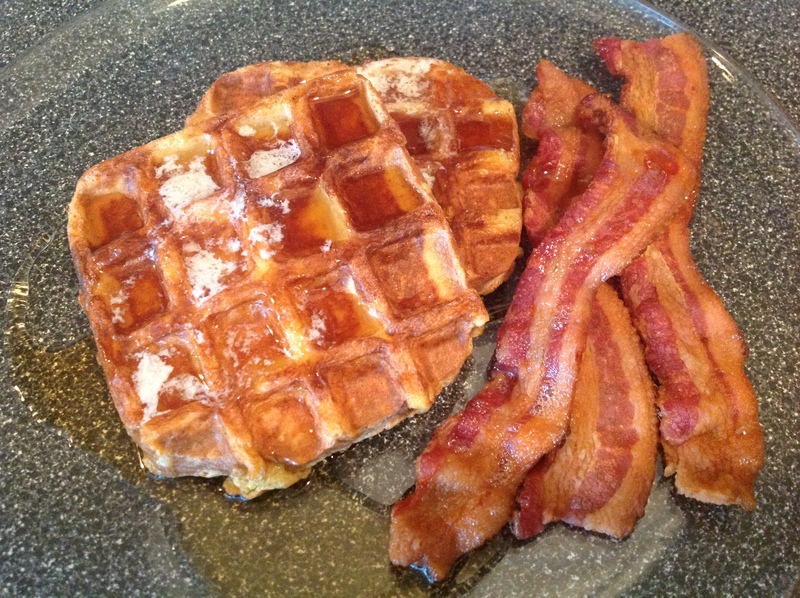 * if using Cup4Cup Pancake and Waffle Mix you may omit the raw sugar. 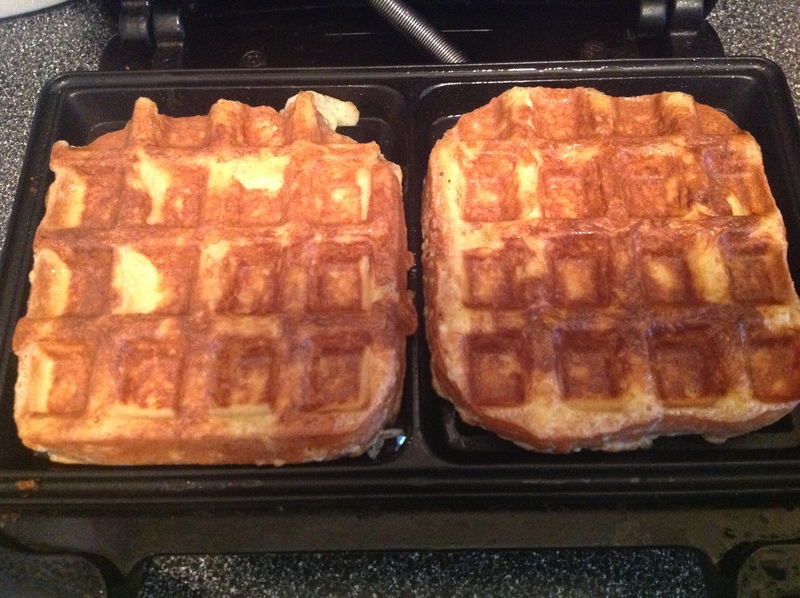 Prepare and preheat waffle iron according to manufacturer’s instructions. Mix together dry ingredients, then add the half and half and the egg. Beat until the dry ingredients are moistened. Add melted butter and vanilla extract and stir enough to incorporate thoroughly. Do not overmix. 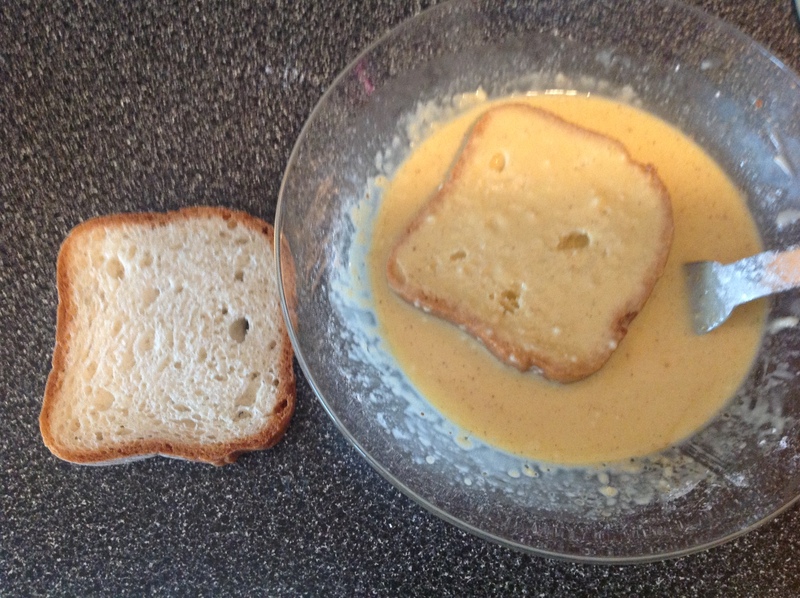 Pour batter into a shallow bowl and dip bread slices into the batter and allow them to sit for a minute or two to allow the batter to soak in. Place battered bread slices into the preheated waffle iron and cook according to waffle iron manufacturer’s instructions. ← it’s kiss my gluten free buns’ 1st anniversary!